A girl power anthem for all! 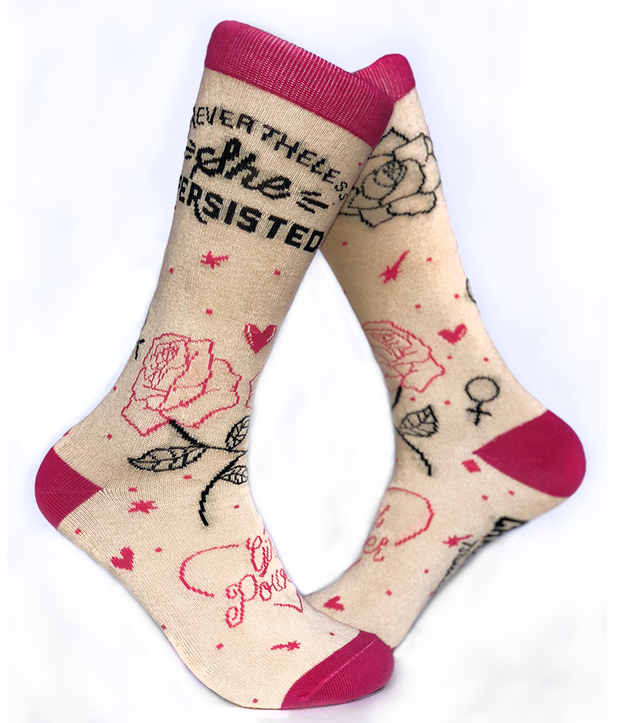 With these crew socks from Crazy Dog, you can pay tribute to the many determined women who refused to give up as they fought for change. The 70% cotton, 30% Spandex women's socks are lightweight and comfortable, perfect to wear as you march your way into the future. Available in one size which fits most women's shoe sizes 5 to 10. 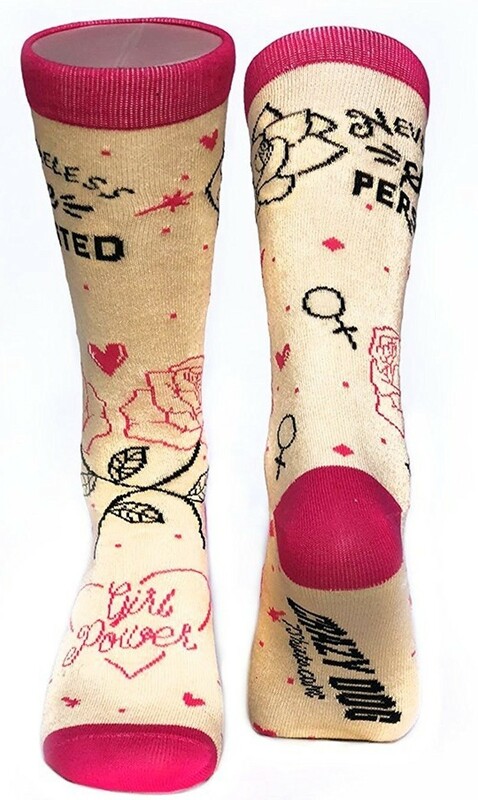 For more fun and empowering designs for your feet, visit our Sock Collection.